Do you want to showcase the logos of your clients in a beautiful WordPress slider? Displaying the logos of the clients on your site increases your credibility. In this tutorial, we will share how to create a WordPress slider for logos. You need to use a WordPress logo showcase plugin like Soliloquy to add the best logo slider on your site. Soliloquy has the feature to create carousels, so you can display logos in WordPress easily. It allows you to add these logo carousel sliders in WordPress pages, posts, sidebar, footer, and more. 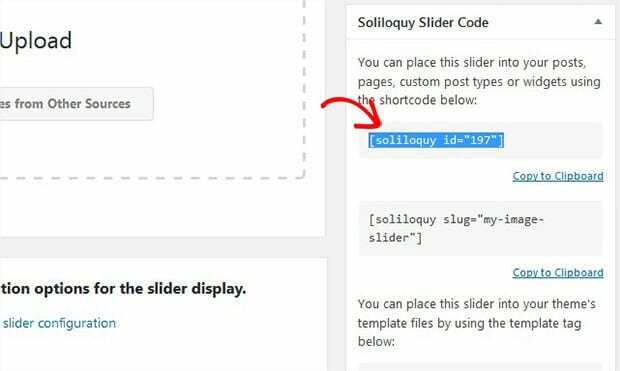 To learn more about the image slider installation, you should check out this guide on how to install Soliloquy. Upon activating the plugin, you need to go to Soliloquy » Addons from your WordPress backend. Install and activate the Carousel addon. To access this addon, you must have the Developer or Master license. Go ahead and check out how to upgrade your license in Soliloquy. This carousel addon helps you to showcase your customer logos in a clean and professional style. Once the addon is activated, you should go to Soliloquy » Add New to create your logo slider. Let’s start by adding the title and drop the logos in the Native Slider section. For more image slider settings, you should check out our guide on how to create an image slider in WordPress. After adding the logos in the WordPress slider, you need to scroll down to the Carousel tab and check mark Enable Slider Carousel. You can set the width, height, margin, maximum and minimum slides and more. These settings can be changed any time as per your need. Simply click on the Publish button at the right side of your screen, and copy the shortcode from the Soliloquy Slider Code widget. Now edit your page/post or go to Pages/Posts » Add New to create a new page/post. In the visual editor, you need to paste the shortcode of your logo slider. To add this logo carousel slider in your WordPress sidebar or footer, you need to go to Appearance » Widgets. Simply drag and drop the Soliloquy widget in the Sidebar or Footer widget area. Next you should add title and select your WordPress slider for logos in the Slider dropdown in this widget. Hit the Save button. That’s all. We hope this tutorial has helped you to learn how to create a WordPress slider for logos. 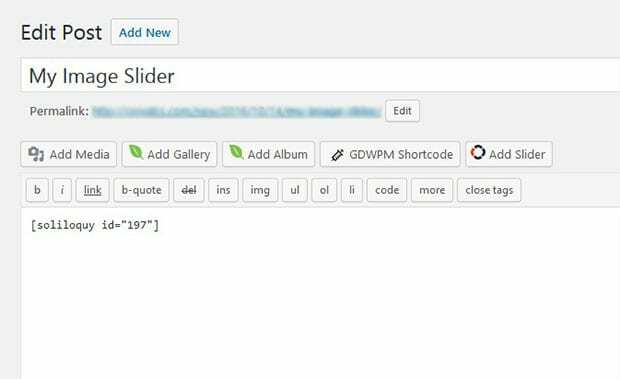 You may also want to check out our guide on how to add an image slider with captions in WordPress. If your visitors are not converting into clients, then you must check out OptinMonster’s powerful exit-intent technology.